While the World Series championship comes to the Chicago Cubs only once every 108 years, the American Library Association’s (ALA) Annual Conference and Exhibition is a far more common Chicago event, if not more exciting. Returning to McCormick Place—and ALA’s hometown—after four years, Annual will offer a host of professional development opportunities, new ideas to help shape the future of libraries, a full slate of author programs and fascinating speakers, and a variety of special events and other activities. This preview offers a small sample of what to expect. Click here for a complete listing of events. Reshma Saujani, founder and CEO of Girls Who Code, will kick off the conference as the Opening General Session speaker on Friday, June 23, 4–5:15 p.m. Girls Who Code is a nonprofit with a goal to help close the gender gap in technology. Saujani’s forthcoming book, Girls Who Code: Learn to Code and Change the World, shows girls how coding skills are relevant to their lives. ALA President Julie B. Todaro welcomes actor, producer, designer, library supporter, and avid reader Sarah Jessica Parker as her ALA President’s Program speaker Saturday, June 24, 3:30–4:30 p.m. Parker will serve as honorary chair of ALA’s Book Club Central, an online platform of reading resources created in partnership with Booklist and United for Libraries. The President’s Program will serve as Book Club Central’s official launch, and Parker will unveil her first book selection for the program. Bestselling author and 2015 National Humanities Medal recipient Ron Chernow will speak at the ALA Awards and Keynote Address on Sunday, June 25, 3–4:30 p.m. Chernow’s book, Alexander Hamilton, was described by The New York Times as “by far the best biography ever written about the man.” His newest biography, Grant, will be published in the fall. The Association for Library Service to Children’s (ALSC) Newbery-Caldecott-Wilder Awards Banquet—a celebration that will honor the authors and illustrators of the Newbery, Caldecott, and Wilder medal–winning and honor books—takes place Sunday, June 25, 6–11 p.m. Preregistration is required and tickets are $94. The 48th Annual Coretta Scott King Book Awards Breakfast, presented by the Ethnic and Multicultural Information Exchange Round Table, will be held Sunday, June 25, 7–9:30 a.m. The breakfast honors 2017’s Coretta Scott King winners and honor recipients, recognizing the best African-American authors and illustrators of books for children and youth. Tickets are $65 in advance, $75 onsite. Environmentalist, activist, and author Bill McKibben will speak at “Imagining a World That Works—In Time to Prevent a World That Doesn’t” on Saturday, June 24, 1–2:30 p.m., a special session cosponsored by the Social Responsibilities and Sustainability round tables, the Asian/Pacific American Librarians Association, and the American Indian Library Association. 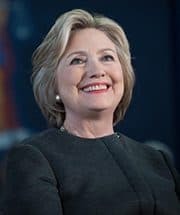 The Closing General Session on Tuesday, June 27, 10–11:30 a.m., brings a highly anticipated speaker to Annual—former Secretary of State, First Lady, and US Senator Hillary Rodham Clinton. She is the author of several bestselling books, including the memoirs Hard Choices and Living History, and her groundbreaking work on children, It Takes a Village. This September, Simon & Schuster will publish a new book by Secretary Clinton, as well as a full-color picture book version of It Takes a Village, illustrated by two-time Caldecott Honor recipient Marla Frazee. The Inaugural Celebration immediately follows the Closing General Session at 11:45 a.m.–2 p.m. after Todaro passes the gavel to 2017–2018 ALA President Jim Neal, and includes food and entertainment. Tickets are $50. Teacher, cartoonist, author, National Ambassador for Young People’s Literature, 2016 National Library Week Honorary Chair, and MacArthur Fellow Gene Luen Yang is the creator of many graphic novels and short stories that explore present-day and historical events through a contemporary Chinese-American lens. His “Reading Without Walls” program encourages kids and teens to read books about characters who don’t look or live like them or topics they don’t know much about, or in a format they don’t usually choose. In her memoir How Dare the Sun Rise: Memoirs of a War Child, Sandra Uwiringiyimana tells the story of how she survived the Gatumba refugee camp massacre in Burundi when she was 10 years old. Since resettling to the US through a United Nations program, Uwiringiyimana has worked to raise awareness and call for justice for the massacre and other human rights abuses in the region. Her presentation will share the story of her survival and how she found her place in a new country. Brené Brown has spent 15 years studying courage, vulnerability, shame, and empathy. As founder and CEO of COURAGEworks, an online learning platform offering classes on braver living and loving, and Brave Leaders Inc., an organization that provides courage-building programs for leaders, Brown will deliver a presentation to inspire and provide actionable change strategies. Presented jointly as the United for Libraries president’s program, Susan Schmidt welcomes Andy Weir, “lifelong space nerd” and author of the bestselling debut novel The Martian, for a talk and signing. Scott Beck, head principal at Norman (Okla.) High School, will speak about how 21st-century school librarians contribute to student outcomes at American Association of School Librarians (AASL) President Audrey Church’s program. Beck will immediately follow the AASL Awards Ceremony, which highlights best practices in school librarianship through collaboration, leadership, innovative programming, national involvement, and upholding the principles of the profession. Association of College and Research Libraries (ACRL) President Irene Herold and Public Library Association (PLA) President Felton Thomas Jr. will welcome Bernard Banks, associate dean for leadership development and clinical professor of management at Northwestern University’s Kellogg School of Management, as presenter of a joint program offering leadership development guidance for all levels of academic, research, and public librarians. Banks will discuss how organizational challenges can be understood through a variety of frames, giving attendees a thorough approach to developing effective solutions. Lydia Collins, consumer health coordinator, and Christian Minter, outreach and education coordinator at the National Network of Libraries of Medicine, will present “Healthy Aging @ Your Library: Connecting Older Adults to Health Information,” Association of Specialized and Cooperative Library Agencies (ASCLA) President Michael Golrick’s program. Discover techniques for teaching older adults to use computers and find health information online, ideas for planning library programs on senior health topics, sources of health materials for distribution to older adults, and techniques for making a website senior-friendly. R. David Lankes, author and director of the University of South Carolina’s School of Library and Information Science, will keynote Reference and User Services Association (RUSA) President Alesia M. McManus’s program, “Forget the Future: Our Time Is Now.” Lankes will explore how reference and user services can not only remain relevant but also mobilize to address community challenges like nationalism, xenophobia, racism, and extreme politics. Library and Information Technology Association (LITA) President Aimee Fifarek’s event will welcome Hugo Award, Kitschy Award, and Sydney J. Bounds Award–winning writer Kameron Hurley, author of The Geek Feminist Revolution. Hurley will speak to how curated content shapes the stories we tell about ourselves and the realities in which we live, and how librarians and information professionals can help shape these narratives. Dorri McWhorter, CEO of the YWCA Metropolitan Chicago, will speak at “The Business of Social Impact: Creating a World Where Everyone Has Value,” a shared program hosted by Association for Library Collections and Technical Services (ALCTS) President Vicki Sipe and Library Leadership and Management Association (LLAMA) President John Spears. McWhorter will address how organizations can create social impact as for-profit and nonprofit business models converge. Young Adult Library Services Association (YALSA) President Sarah Hill presents an interactive session to conclude her yearlong “Real Teens, Real Ready” initiative, which focuses on the need for libraries to evolve to effectively serve today’s young adults. 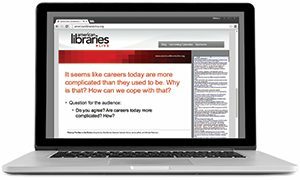 Many teens feel underprepared for their future, but the library can be an instrument for career, college, and workforce readiness. This session will share innovative strategies you can apply in your own library. The ALSC Charlemae Rollins President’s Program, “Plugging into the Digital Age: Libraries Engaging and Supporting Families with Today’s Literacy,” will feature Chip Donohue from the Erikson Institute and Sarah R. Lytle from the Institute for Learning and Brain Sciences presenting the latest research on digital-age technology and its relationship to childhood development and literacy. Lisa Regalla from the Center for Childhood Creativity at the Bay Area Discovery Museum will discuss practical ways to implement the information in libraries and services. The Michael L. Printz Program and Reception, cosponsored by YALSA and Booklist, features 2017 winners US Rep. John Lewis, Andrew Aydin, and Nate Powell, as well as honor book authors Julie Berry, Louise O’Neill, Neal Shusterman, and Nicola Yoon. United for Libraries’ Out and Proud: LGBTQ Literature session, cosponsored by the Gay, Lesbian, Bisexual, and Transgender Round Table (GLBTRT), will include Joseph Cassara, Eileen Myles, Rakesh Satyal, and Sophie Yanow discussing their latest books, with a signing to follow. RUSA’s Literary Tastes: Celebrating the Best Reading of the Year will feature several authors whose works won RUSA book awards or were included on its best-of lists for adults. Light refreshments are included and book signings will follow the event. Among the speakers are authors Gregg Hurwitz and Julia Quinn and audiobook narrator Dion Graham. YALSA’s YA Author Coffee Klatch is a speed dating–style event that features 40 YA authors who have appeared on one of YALSA’s selected book lists or received one of its literary awards. Attendees sit at a table, and every few minutes a new author arrives to talk about their upcoming book. Tickets are $25. Booklist will host a panel of seven superstar YA authors as part of its celebration of 50 years of the modern young-adult book, an era commonly considered to have begun with the 1967 publishing of S. E. Hinton’s The Outsiders. The panel will include Kristin Cashore, Brandy Colbert, Deborah Heiligman, Daniel José Older, Neal Shusterman, Megan Whalen Turner, and Nicola Yoon. The #50YearsofYA celebration also includes free copies of the Top 50 YA Books of All Time poster, cake during Friday night exhibit hours, and author signings in the Booklist booth. At United for Libraries’ First Author, First Book, debut authors Morgan Babst, Emil Ferris, Gregory Scott Katsoulis, C. Devin Murphy, and Sarah Shoemaker will speak about their books and writing experiences in this popular annual panel. Wine and cheese will be served at United for Libraries’ The Laugh’s on Us, headlined by comedian and United for Libraries spokesperson Paula Poundstone. The event will also feature James Breakwell, David Litt, Lisa Scottoline, and Francesca Serritella, with a book signing to follow. Tickets are $60 in advance ($55 United for Libraries personal members) or $65 onsite. Honor the best in children’s literature and media at the annual presentation of the Batchelder, Carnegie, Geisel, and Sibert awards during the ALSC Awards Presentation. Attendees will have the opportunity to talk to award-winning authors and illustrators, and a continental breakfast will be provided. Celebrate the 2017 winners of the Stonewall Book Awards, recognizing the best in gay, lesbian, bisexual, and transgender writing in fiction, nonfiction, children’s, and young adult categories. Sponsored by GLBTRT, this event also recognizes winners of the Newlen-Symons Award for Excellence in Serving the GLBT Community. Enjoy tea, finger sandwiches, and sweet treats at United for Libraries’ Gala Author Tea. Featured authors A. J. Finn, Jonathan Safran Foer, Elly Griffiths, Allison Pataki, and Brianna Wolfson will discuss their forthcoming books, and signings will follow. Tickets are $60 in advance ($55 United for Libraries personal members) or $65 onsite. Use the Annual Conference Scheduler and mobile app to browse sessions, add and update events, create a private or shareable calendar, and keep track of appointments. 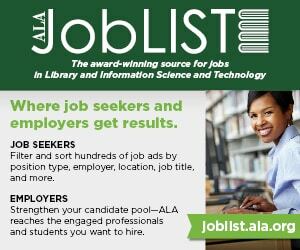 ALA’s JobLIST Placement and Career Development Center is open Saturday, June 24, and Sunday, June 25, 9 a.m.–5 p.m., with an orientation Saturday at 8:30 a.m. Conference registration is not required to go to the Placement Center, use its services, or attend any workshop. Employers will be on hand to talk to conference attendees at the free Open House and Job Fair on Sunday, June 25, 10:30 a.m.–noon. Career Counseling with a professional career coach is available in free, confidential 20-minute one-on-one sessions when the Placement Center is open. Preregistration is suggested. ACRL’s University Libraries Section will provide On-the-Fly Mentoring, in which an experienced librarian will be available to talk about any aspects of your career, Saturday, June 24, 9 a.m.–noon and Sunday, June 25, 1–4 p.m. Mentoring is available by appointment or on a drop-in basis. Click here for a complete list of workshops and services. – ALA-APA Board of Directors, 4–4:30 p.m.
– ALA Finance and Audit/Budget Analysis and Review Joint Committee, noon–3 p.m.
– Council/Executive Board/Membership Information Session, 3–4:30 p.m.
– ALA Membership Meeting, 4:30–5:30 p.m.
– ALA Council I, 8:30–11 a.m.
– ALA Planning and Budget Assembly, 1–2:30 p.m.
– ALA Council II, 8:30–11:30 a.m.
– ALA Executive Board Meeting II, 1–4:30 p.m.
– ALA Council III, 7:45–9:45 a.m.
– ALA Executive Board Meeting III, 1:30–4:30 p.m.
Equity, diversity, and inclusion are essential to the resilience of libraries in the US and around the world. A few select offerings at Annual are described below. While social justice in libraries is often thought of in terms of public services and collections, it is critical for social justice to permeate the organization. In “Diversity, Inclusion, and Social Justice in Technical Services,” sponsored by ALCTS, speakers from libraries and other cultural heritage institutions will share the ways in which archives, technical services, preservation, and collections strategy staff have promoted diversity, inclusion, and social justice. The annual Diversity and Outreach Fair will highlight library services to underserved and underrepresented communities. This year’s theme is “Inclusive Outreach: Providing Services to the Underserved and Marginalized.” The fair includes a poster session in the exhibit hall. More than 100,000 unaccompanied minors have arrived in the US as refugees from Central America since 2014. At “The Other (Invisible) Refugees: Supporting Central American Children in Crisis,” YALSA, the International Board of Books for Young People, and Reforma will screen a film and speak about the Children in Crisis Project, which seeks to raise awareness of these youth and the resources they need while being held in detention centers awaiting a chance to plead their cases for asylum. Donations will be accepted. 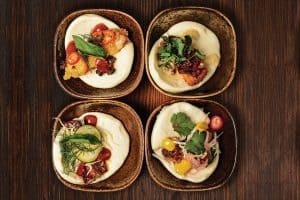 Librarian of Congress Carla Hayden will headline “Spectrum at 20: A Celebration of Community,” a cocktail hour celebrating and supporting the ALA Spectrum Scholarship Program at the 19 East Event Gallery, 19 East 21st St. Tickets are $20 and include hors d’oeuvres; a cash bar will also be available. Sara Paretsky, author of the V. I. Warshawski mystery series, will be the featured speaker at this celebratory event, cosponsored by Booklist and RUSA. This year honors Colson Whitehead, winner of the 2017 Andrew Carnegie Medal for Excellence in Fiction for The Underground Railroad, and Matthew Desmond, winner of the 2017 Andrew Carnegie Medal for Excellence in Nonfiction for Evicted: Poverty and Profit in the American City. 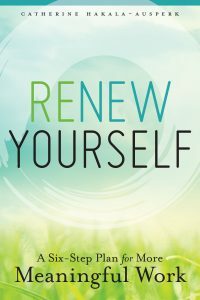 Selection committee chair Donna Seaman will host the program, which features remarks from the authors and will be followed by a dessert-and-drinks reception for attendees, authors, editors, and ALA leaders. Tickets are $40 ($30 for RUSA members). With more than 900 exhibiting organizations, multiple pavilions and stages, and popular authors, the exhibit floor is integral to your learning, professional development, and networking at Annual Conference. 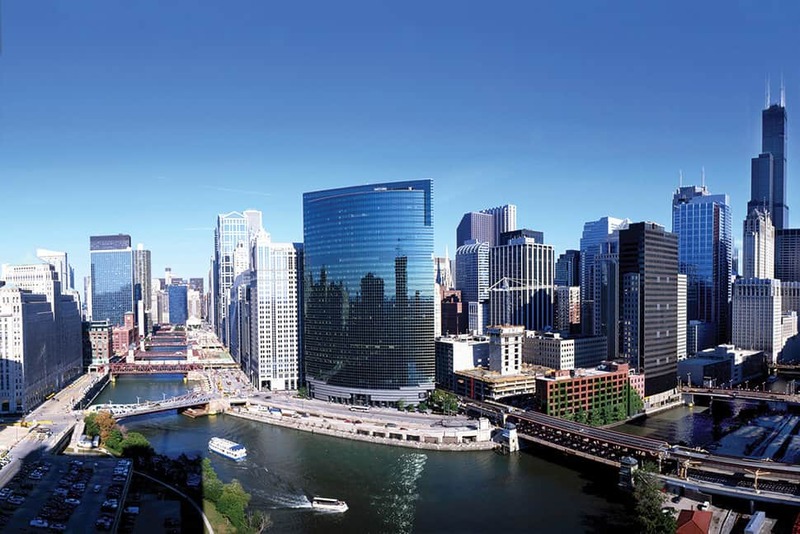 The official opening ceremony and ribbon cutting immediately follows the Opening General Session on Friday, June 23, at 5:30 p.m., and features a brief welcome by ALA leadership and Chicago dignitaries. The Opening Reception includes food, drink, and entertainment. Friday, June 23, 5:30–7 p.m.
Saturday, June 24, 9 a.m.–5 p.m.
Sunday, June 25, 9 a.m.–5 p.m.
Monday, June 26, 9 a.m.–2 p.m. Individual publishers will host author and illustrator events throughout the conference, including programs at the Book Buzz Theater, Graphic Novel/Gaming Stage, PopTop Stage, What’s Cooking @ ALA Demonstration Stage, and the new Chapter One Stage. Check alaannual.org/general-exhibits-info for a list of stage schedules. New this year: The Playground @ ALA features hands-on learning with future-focused technologies such as virtual and augmented reality, coding, drone piloting, 3D printing, and robotics. At The Park @ ALA, attendees can sit under tranquility domes, borrow a bike from a tricycle bookmobile, build a Little Free Library, or donate to the blood drive. Specialty Pavilions will again include showcase areas for DVD and video, gaming and graphic novels, government information, library school and instruction, mobile apps, small presses and products, university presses, zines, and more. Poet, activist, and educator Nikki Giovanni will headline a special offsite reception benefitting the ALA Cultural Communities Fund at the new American Writers Museum, 180 N. Michigan Ave. Tickets are $75 for ALA members and $90 for nonmembers. Learn techniques to build and leverage strong mentor–mentee relationships to become a leader in your organization and librarianship as a whole in “How to Be an Influential Librarian—Leading and Mentoring from Wherever You Are,” sponsored by ALCTS with LLAMA and the New Members Round Table. At the LITA Imagineering Interest Group session “Generation Gap: Science Fiction and Fantasy Authors Look at Youth and Technology,” Susan Dennard, Cory Doctorow, Annalee Newitz, and V. E. Schwab will explore how science fiction and fantasy literature can serve as a method for examining conflicting generational expectations about technology and privacy. ALA President Julie B. Todaro will facilitate “Library and Information Experts Succeeding in the 21st Century,” a town hall dialogue on competencies, careers, and successful practice, guided by thought leaders Eileen Abels (dean of the School of Library and Information Science at Simmons College), John Bertot (professor at the University of Maryland College of Information Studies), and Valerie Gross (president and CEO of Howard County [Md.] 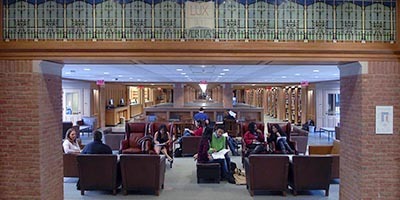 Library). PR Sunday Spotlight features four events that showcase innovative outreach and engagement tactics. “Libraries Transform: New Tools and Best Practices” (10:30–11:30 a.m.); LLAMA’s PR Xchange and Awards Ceremony (11:30 a.m.–2 p.m.); the PR Forum featuring Ben Bizzle, founder and CEO of Library Market (3–4 p.m.); and the John Cotton Dana Awards and Reception (4–6:30 p.m.) each offers strategies you can replicate in your own library. ASCLA will host Kate McIlvain and Mara O’Brien of SitStayRead, speaking about how the nonprofit literacy organization connects children with trained literacy volunteers and certified reading assistance dogs in a curriculum that develops literacy and social-emotional skills. The International Relations Round Table invites all to celebrate with librarians from more than 70 countries at the International Librarians Reception, held offsite at the Harold Washington Library Center, 400 S. State St. This unique opportunity to network with colleagues abroad includes regional cuisine and open bar, and recipients of the ALA Presidential Citation for Innovative International Projects will be announced. Advance registration is required. Tickets are $40; international librarians receive one complimentary admission. In addition to highlighted programs, be sure to check out informal and peer-to-peer learning opportunities such as five-minute Ignite Sessions, 45-minute Conversation Starters, the Now Showing @ ALA Film Program, more than 200 loosely organized Discussion Groups, and the Networking Uncommons. Additionally, Preconferences (June 22–23) offer inspiring professional development and ideas you can implement at home. This year’s topics include digital collection development, genealogy, user experience, and more. Register for these and other ticketed events here. ALA works to make sure the conference experience is pleasant and accessible for all. For information on mobility assistance, interpreter services, and other accommodations, visit the Accessibility page. For an up-to-date list of dates and times, see the Annual Conference Scheduler. Updated June 1, 2017: An earlier version of this story included a lead that incorrectly suggested the Chicago Cubs winning the 2016 World Series was the city’s first championship in 108 years. We regret this slight against the Chicago White Sox, who won the series in 2005.